The coffee industry is developing rapidly all over the world. It is a fashion to go to the coffee kiosk to drink coffee. 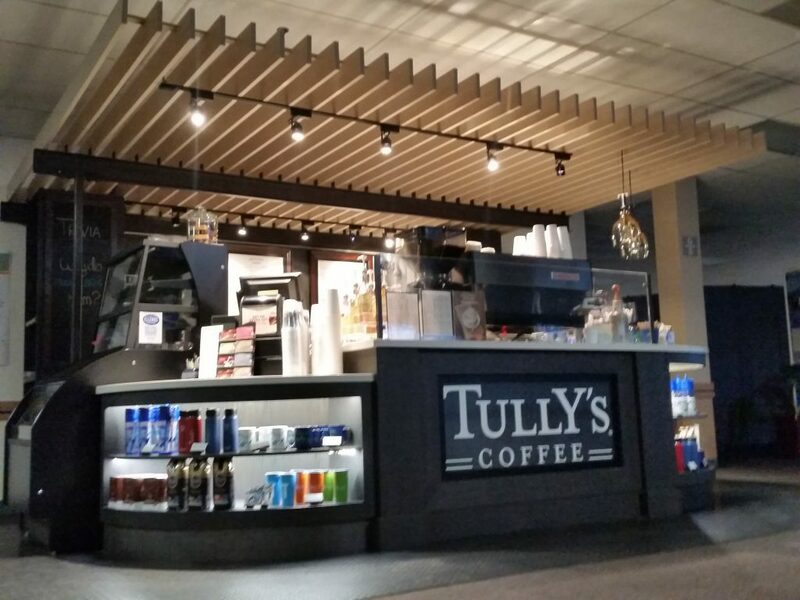 Therefore, opening a coffee shop or coffee kiosk has become a favorite among many investors. Six out of every ten people who want to start a business want to open a coffee shop, but they have successfully opened a restaurant. The coffee shop is not an easy task. It requires us to have professional knowledge and business preparation. Size: 3 x 2 m or customize as your size. Materials: plywood with the laminate, wooden strip. Hardware: stainless steel handles, same lock with key. Others: spotlight, lighted box, LED strip lights. 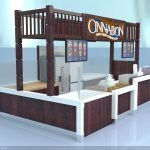 It is necessary to do the design of the coffee shop or coffee kiosk, such as brand design, bar design, furniture design, lighting design, layout design, decoration design, etc. 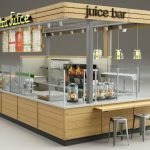 These designs need professional knowledge and need to find professionals; these designs All in place, we can design a cafe with certain characteristics. Of course, if the design is not good, then the final result may be a cafe that is not horrible. 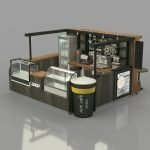 Therefore, positioning and design is a very important part of opening a coffee shop or coffee kiosk. After the design is completed, you need to find a professional furniture production company to complete your design, find our company – Unique Furniture Co., Ltd.
3. 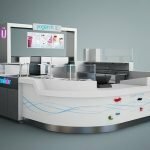 About how to operate a coffee shop or coffee kiosk? 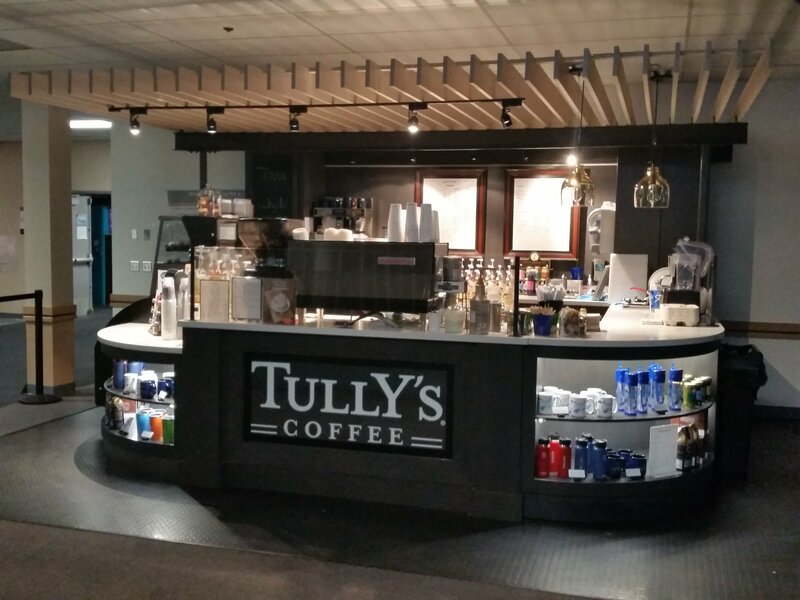 The operation process of the coffee shop or coffee kiosk is a process of raising a shop. The coffee shop needs to be raised. Many people don’t know about the coffee shop. They think that it is natural to open the coffee shop. Actually, it is not. The coffee shop is a very important part. , is a very important step. Opening out of the coffee shop, I can only say that the child was born, how to make her grow into a flowery jade girl, not only need you to invest energy but also need to invest money. If you have any questions about the coffee kiosk, please feel free to contact us on Email: sales20@uniquekiosk.com.